School days are considered to be the best days on an individuals life. 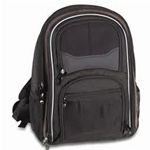 During these days, every kid wants to carry items that are useful for their school as well as attractive. Bags are one such item for which kids often become stubborn and demand a new one every year, at least. Here, parents have a hard time as the most designer and attractive school bags that are spacious also, come at high price. These bags are also harmful for the environment as non recyclable material are used to make them. But with the promotion of jute school bags, this problem has been solved to a good extent. Jute school bags are recyclable, enchanting, stylish, spacious and are available in cost effective rates, making their market vast. These Jute Bags are appreciated by parents for these features and loved by kids, hence satisfying the entire family. Low cost and eco friendly jute school bags are preferred by various manufacturers, parents and children for one main reason Ã¢â‚¬â€œ recyclable. Jute fiber is 100% biodegradable and its products are an extremely attractive renewable option. In line with this, Designer School Jute Bags are not making place in various households and schools all around India. Some of these jute school bags are specially developed for making them suitable for colleges and general shopping in addition with serving their purpose as school bags. These multipurpose eco friendly school bags are extremely versatile and last for years without any degradation on their quality aspect.